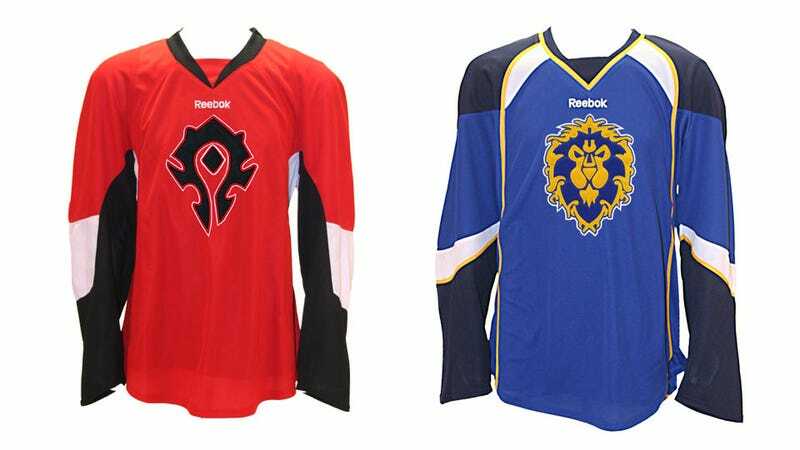 It speaks volumes for the popularity of World of Warcraft that you can see a thing like "Official Reebok Hockey Jersey" and know that not only is it a real thing, but that there'll be plenty of people who will buy one. These are high-quality, actual hockey jerseys manufactured by sportswear giant Reebok (or at least its parent company Adidas), and come in two variants (Alliance or Horde) and two types (vanilla or customised). The vanilla ones ($100) will just ship with the colours and logo of your chosen faction. The customised ones ($160) let you add numbers and your character's name. Just in case the whole thing wasn't dorky enough already.